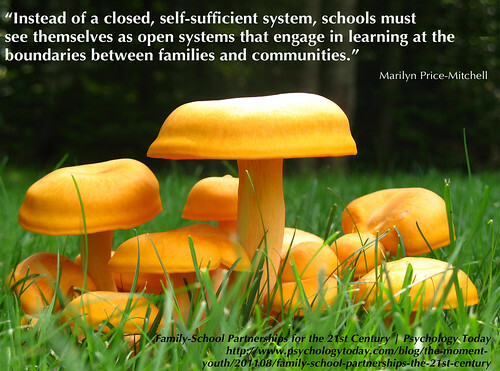 Family – School Partnerships, a photo by Jeannine St. Amand on Flickr. Our families are crucial to our success and the risks we take in our Unit. Without their support we would not have the freedom to push boundaries, try new things and ultimately make mistakes. Involving our families and providing them with voice is essential to developing the trust this requires. The introduction of our Unit Blog has provided a space to connect and has been an amazing avenue for sharing our experiences in “real time”. The truth is though that not all our families have access to the internet nor the inclination to get online to see what has been happening. It is thus important for us to connect and involve our families in multiple ways. Connecting with our families using texts messages and sending pictures via mobile has proven to be a great way to engage them in real time. We almost use this in a similar fashion that most would use a twitter account. We send out general reminders, updates and information. We also share photos of what we are doing and places we go. One consideration we negotiate is having students who cannot have their images shared on social media. This means these students are never included in photographs on our blog, in our newsletters or on our YouTube channel. Sending pictures via our mobile means these students can still share these experiences with families and carers. We engage our families in many other ways including open forums, technology workshops, student led expos, family conferences, celebrations, volunteer opportunities and invitations to participate in learning experiences. Our reporting process (Semester Reflections) is another way we ensure that our communication to families is valuable and meaningful. This was a priority for me when I came to my current site and I was very fortunate to be given the flexibility to start from scratch. I wanted to ensure that our families knew we were responding to their children as unique individuals. This process continues to evolve and it is through the feedback we solicit from our families that we continue to develop and grow.